Katha is one of the oldest living villages in the region. Less than 30 Km from the historic Red Fort of Delhi, it is located on a mound on the junction of Eastern Peripheral Express way and Delhi-Sahanranpur highway. It is understood that the rulers of Delhi around 13th century awarded lands and estates to the Qazis of Katha whose principal vocation was dispensation of justice. The region also became a popular hunting ground for the Mughal Kings and nobility with Katha as one of the most favorite “Shikargah”. During the period of 13th – 18th centuries a number of noble houses and mansions were built by the Qazis of Katha. The principal residence, oldest and the largest of them all built more than 700 years ago and the flagship of these noble mansions was this Haveli. This heritage home is not less than a historical monument which has been restored by Shariq Raza, his wife Alka and their son Sahil to settle down after working abroad as an International Civil Servant for 24 years. 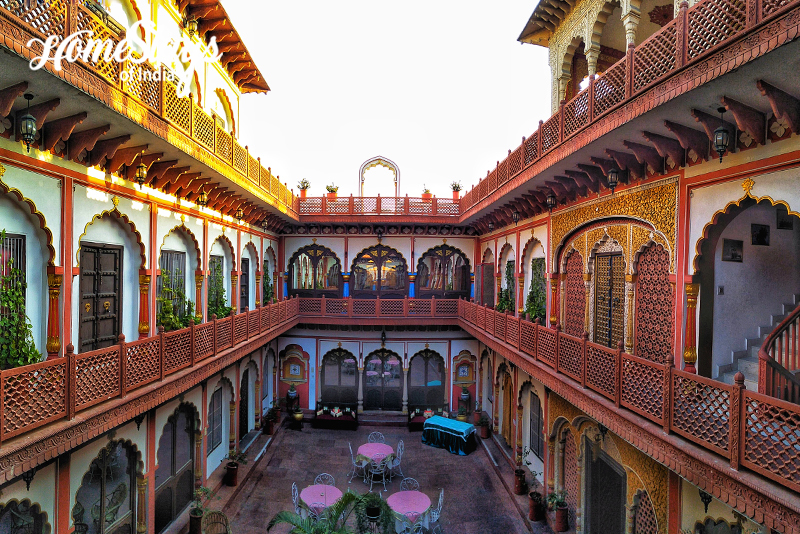 It was a gigantic task of 13 years of consolidation, extensive reconstruction, renovation and refurbishing of remnants and ruins of the Haveli. But this passionate family made it possible. After all it was their ancestral house! Now it is one of the most shining gems of national capital region of Delhi. 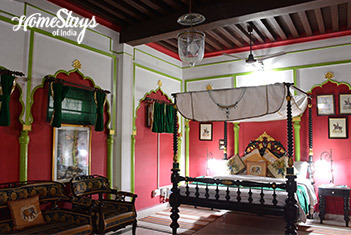 It has 6 tastefully furnished, luxury heritage rooms with attached bath. Every room is designed to give a different feel. 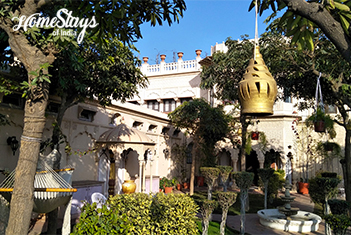 You can have a panoramic view of the entire village, the river Yamuna and far beyond from the rooftop terrace garden of the Haveli. You may get a chance to see the secret Tehkhana (basement). Shariq Raza spent most of his life abroad, serving as the Career Diplomat in United Nation and has travelled to more than 90 countries. Shariq with his wife Alka Raza who is a Writer and Journalist and their son Sahil Raza returned to Katha in 2009. 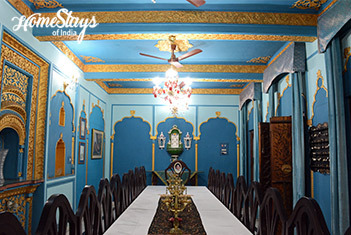 The family opened a part of the Haveli through its homestay program for the connoisseurs of art, culture, heritage and the living of an era gone by. The hosts are available to the guest. 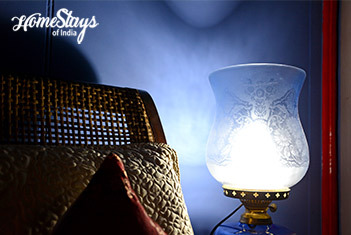 Lady of the house personally ensure a memorable stay for the guests as the personal guest of the family. Food is a huge affair for Alka Raza. With her travel experience in almost every continent of the world, she can surprise you with her cooking skills. Some of her recipes predate Mughal Period. You will be served an elaborate international breakfast. Fresh, light food cooked with some very special spices from the local region is the highlight of the Haveli. Alka Raza is happy to offer Diabetic friendly food and for weight watchers she goes an extra mile. 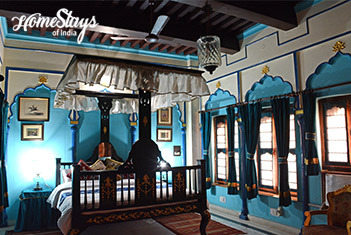 The Haveli has 3 types of rooms – Royal, Regal and Majestic Room. The Tariffs are available on request. We do not offer room service and do not allow food in the rooms. No loud music after 10 PM. You can play music late at night if it is confined to your room.